This amusing picture book exudes the naiveté and enthusiasm of childhood. Digby’s optimism and the energy of his helpful friends, not to mention his indulgent mother who allows the kitchen to become a “sloppy mess“, create an atmosphere of innocence and idealism. The charming text is enhanced by the use of rhyme which helps to move along the pace of the story and maintain the reader’s interest while Anil Tortop’s colourful full page illustrations capture the joy and wonderment of childhood. 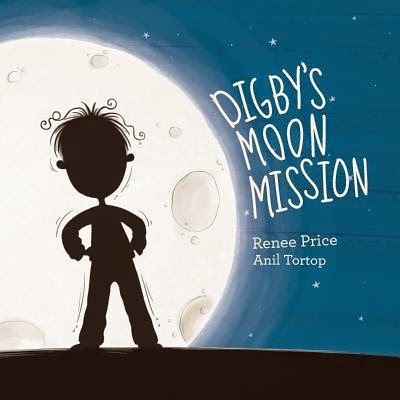 Digby’s Moon Mission is a fun-filled and imaginative story for readers in the two to seven year age group. They will be entertained by the antics of Digby and his friends in their humorous quest to help the moon regain its full size.